One of the core activities of the IEA Solar Heating and Cooling Programme (SHC) is a series of Solar Academy National Days. Solar Academy National Days are held twice a year and bring together solar heat experts from around the world to exchange information about developments in solar heat policy and innovation in a specific country. In this blog post I would like to share with you some of the things I learned on the Solar Academy National Day in Portugal, which convened on 15th November in Lisbon. Portugal’s solar resource is one of the best in Europe, receiving between 1400 and 1900 kWh/m2 of global horizonal irradiation per year with an annual variation of between 1 and 7 %. Portugal’s excellent solar resource has enabled it to be a pioneer in the deployment of renewable energy and although there are some challenges to overcome, this trend is likely to continue under the new Secretary of State for Energy (part of the Ministry of Environment and Energy Transitions) João Galamba. 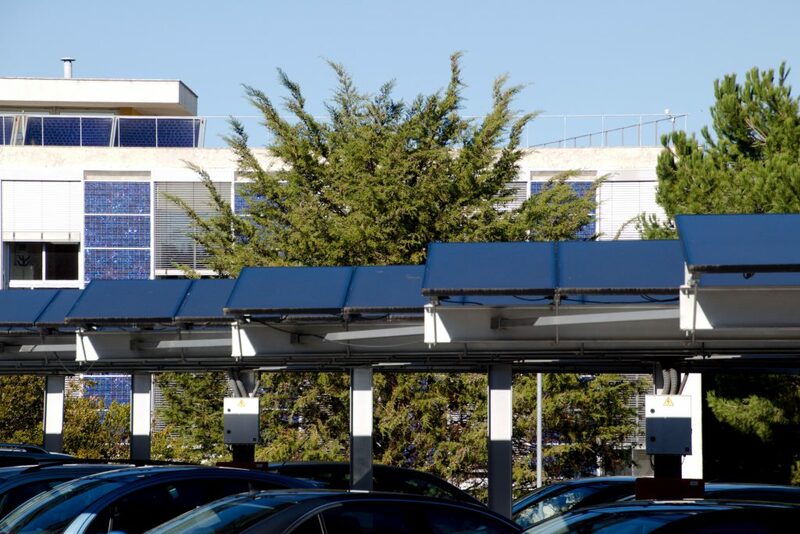 Since 2006, the installation of solar thermal has been mandatory in all new buildings due to the Energy Performance of Buildings Directive (EPBD) and this, alongside a fiscal incentive programme introduced in 2009/2010, has resulted in significant growth in deployment. However, even with these incentives, solar thermal still only accounts for an estimated 4.9% of domestic hot water heating. APISOLAR, the Portuguese Solar Industry Association, estimate the installed capacity of solar thermal collectors to be around 1 million m2 (2015 figures), representing approximately 0.1 m2 per head of population. There had been an ambition, under the National Action Plan for Renewable Energies (PNAER), to install a further 1 million m2 by 2020; however, due to the challenging economic conditions over the last 5 years, this target is unlikely to be met. The new Integrated National Plan for Energy and Climate for 2021-2030, currently under development, is likely to push again for a significant increase in deployment of solar thermal. A substantial untapped opportunity in Portugal is solar process heat; industry is the second largest consumer of energy (accounting for around 25% of national energy consumption). The IEA SHC have recently completed a Task on Solar Heat for Industrial Processes (SHIP) and have very recently initiated a Task on Solar Energy in Industrial Water & Wastewater Management. 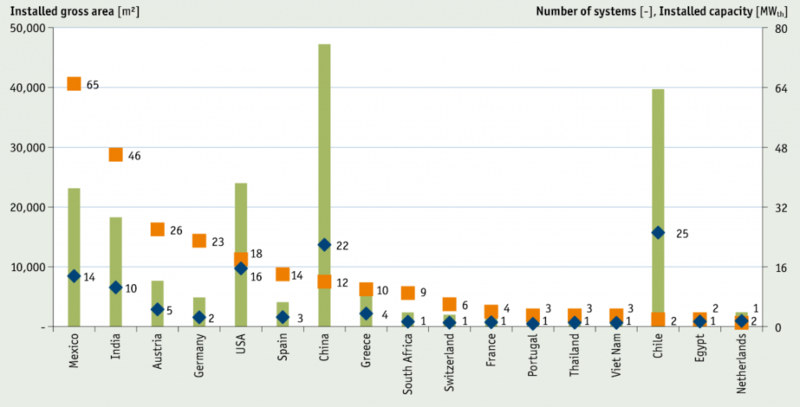 The graph set out below, from the Solar Heat Worldwide 2017 report, illustrates that deployment of SHIP systems to date has been very limited (with only 3 systems installed in Portugal). Eduardo Maldonado, President of ANI (Agência Nacional de Inovação, the National Innovation Agency) outlined energy R&D opportunities and instruments. As is the case in the UK, research for solar heat in Portugal is available through a mix of national co-financed R&D and EU Horizon 2020 project funding. Over the last 12 years, ANI has invested over €296 million into Energy and Energy Efficiency R&D via the Quadro de Referência Estratégico Nacional (QREN) programme (2007 to 2013) and the Portugal 2020 programme (2014 to present). smart grid technology for the production, distribution and storage of energy. reducing energy consumption in buildings. Portugal, like the UK, is also active in the EU’s Horizon 2020 programme with an above average success rate, winning €53 million in support between 2014 to 2018. One project of note is the €24 million Sharing Cities ‘Lighthouse’ programme which aims to be “a proving ground for a better, common approach to making smart cities a reality” and is being coordinated by Greater London Authority, with the ‘Lighthouse Cites’ being Lisbon, London and Milan. The project started in 2016 and runs to 2020 with the aim to “demonstrate the effectiveness of new technologies in … increasing the energy efficiency of buildings and reducing carbon emissions”. 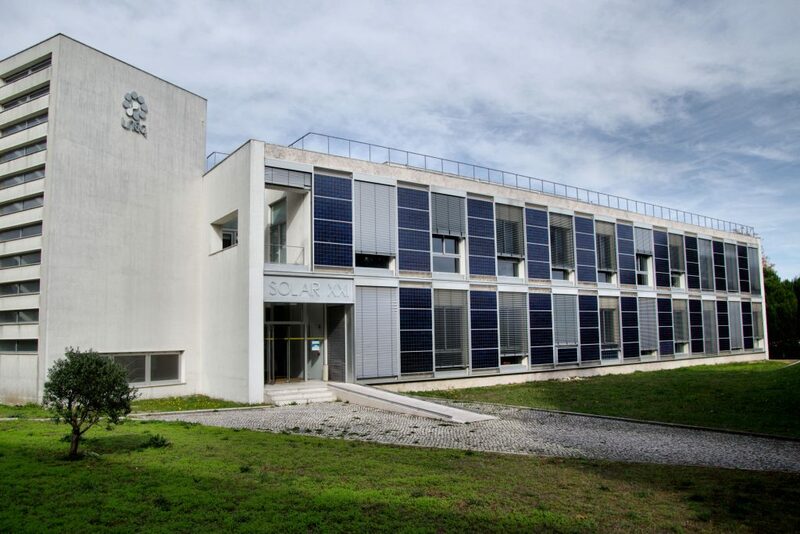 One of the key laboratories for solar heating and cooling research in Portugal is LNEG (Laboratório Nacional de Energia e Geologia). The LNEG incorporates a NZEB_LAB (see image below) which was built in 2006 and has the vision to “congregate the existing facilities in Portugal in the domain of the Building Integrated of Solar Energy and Net Zero Energy Buildings (NZEB) to serve the National and European Industrial Research Community to the goal of accelerating the integration of new systems and components in buildings in order to achieve the NZEB concept”. The NZEB_LAB, which includes a ‘living lab’ (Solar XXI Building), solar energy testing laboratory (LES) and materials and coating laboratory (LMR), is similar in concept to the UK’s Active Buildings Centre (ABC) being established at Swansea University. Hopefully there can be some active collaboration between the two research hubs. There is also a significant amount of work being undertaken in Portugal around the concept of Digital Heat, which I briefly mentioned in my last blog post. The LISCOOL project is working on developing a demonstration of an Automated Demand Response System (ADRS) for office air conditioning; the project is being undertaken in collaboration with the Japanese Government agency NEDO (New Energy and Industry Technology Development Organization) and is utilising OpenADR 2.0b standard protocols. the interaction between the building load and on-side energy production based on renewable energy”. There is clearly a significant opportunity for solar heat innovation collaboration between the UK and Portugal. One of the ways to develop innovation opportunities is through the IEA Solar Heating and Cooling Programme and a number of UK solar companies are already taking advantage of this international network. I’ll be providing a more comprehensive update on solar heat innovation at the next STA Solar Heat Working Group meeting and the next IEA SHC Solar Academy National Day is being held in Austria (Vienna) on 5th June 2019.